You are here: Home / Sewing / LEFT or RIGHT? I just received a kind note from someone who had purchased one of my slipper patterns and made a pair up. She shared with me some great photos and a GREAT IDEA! She had embroidered an “L” for left and a “R” for right. I must say, that when I go to put on my cozy slippers, it takes a little time to figure out which is left and right. What a fabulous idea. It makes me want to make another pair up right now and do a little embroidering. She has given me permission to share with you her lovely photos and her blog. She does have a cute blog, and some fun things in her etsy shop. Check out her post that she has written about her experience sewing up the slippers. Cooler weather is on it’s way, believe it or not, and your feet would truly love a pair of snugly, warm upcycled slippers. Pattern is available in my crafts shop or in my etsy shop. Keep watching out for great wool sweaters. Yard sales, thrift stores and Deseret Industries (DI), are some good places to check frequently for wool sweaters. Sweaters that are 80% and above wool content felt up nicely. 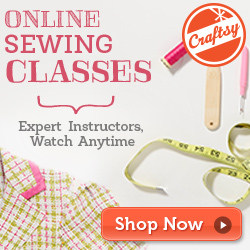 I have some other great projects and patterns coming up for you to use up your wool scraps. So, stay tuned.